It wasn’t the way he had imagined he’d win, but there he was anyway, standing on top of the podium lifting the Bathurst 12 Hour trophy. 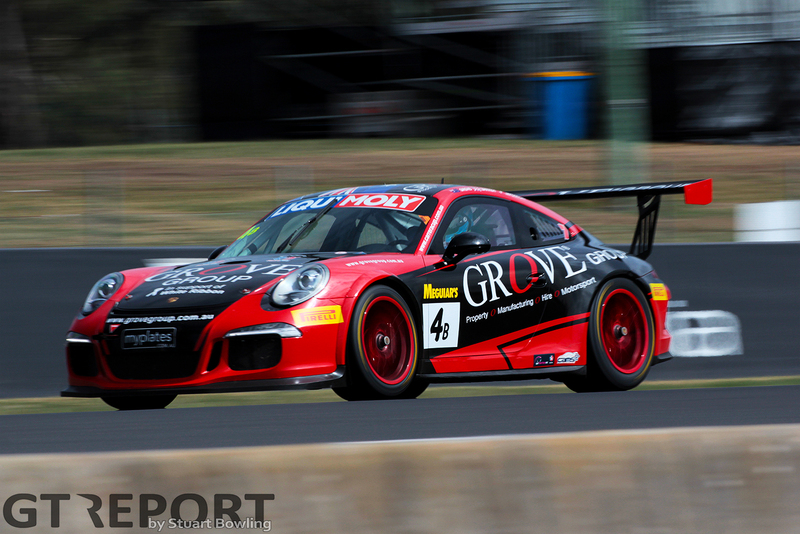 Having somewhat recovered from carbon monoxide poisoning during his morning stint, Brenton Grove went for one more stint in the afternoon to take the Porsche GT3 Cup class win in the 2018 Bathurst 12 Hour with the Grove Racing Porsche 991 GT3 Cup shared with his father and team-owner Stephen Grove, Ben Barker and Daniel Gaunt. “I don’t think back about last year too much,” Brenton Grove says. “I probably should, but the race is kind of a blur. After the first stint I was quite sick. I did only four or five laps and then I got a really bad carbon monoxide poisoning. I unexpectedly came in and we changed drivers. “I sat out of the car most of the day, watching the race, sleeping, trying to rehydrate myself. It was quite late in the race when I hopped back in to make sure I did my mandatory driving time. I went from doing really well to not knowing much to hopping back in the car and eventually winning the race. How it actually panned out, I don’t remember much of it. But to win the race with my father was a dream come true. 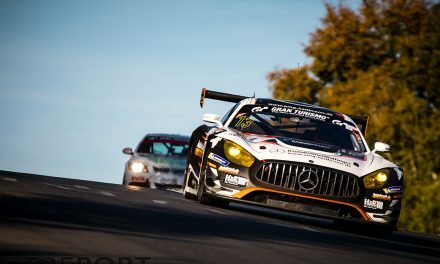 Winning the Bathurst 12 Hour was only the start of a memorable year for Brenton Grove as he joined the field of the Dunlop Super2 Series, took part in the very first FIA GT Nations Cup in Bahrain, and closed out the year by signing with Australian top-tier team Triple Eight Racing Engineering for another season of Super2. Last year also marked the first time Brenton Grove shared driving duties with his father on a national level, having only raced together in state level events before. A sprint racer by nature, their successful endurance racing weekend at the Bathurst 12 Hour proved valuable for the up and coming driver. “The most important lesson I learned at Bathurst last year was to just be patient,” the 21-year-old from Melbourne continues. 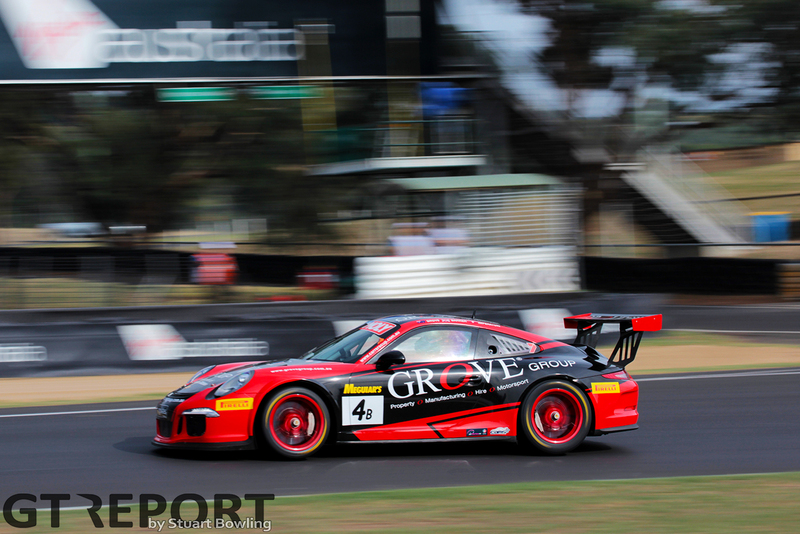 Brenton Grove is back to defend his Bathurst 12 Hour title, again teaming up with his father and Porsche specialist and FIA World Endurance Championship racer Ben Barker. “We feel quite confident as a team, but obviously there are a lot of factors outside of our control,” Grove reckons. With his wealth of experience, Ben Barker’s addition to the driver line-up is of great value to the team. Brenton Grove praises the Brit’s ability to stay focused on the bigger picture. “Ben is a very relaxed, calm sort of guy. He can really put things into perspective over the course of the weekend, understanding where we’re at and where we need to be and the time it takes to get there. It’s just that level-headedness from his experience doing this week in, week out. He understands the drivers change, the seating position, all the crucial things for an endurance race, Ben definitely provides that, and his experience in a Porsche is as good as anyone’s. Plans for Grove Racing after the Bathurst 12 Hour have not yet been set in stone, but Brenton Grove does reveal a likely future in GT3 for the team. “I think that’s the logical progression. 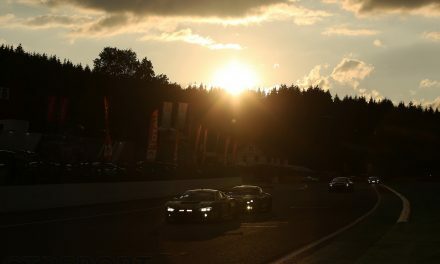 We’re looking at maybe whether or not we buy a GT3 car and do more overseas racing. We’d like do the Nations Cup again, we had a great time there last year with Herberth Motorsport. 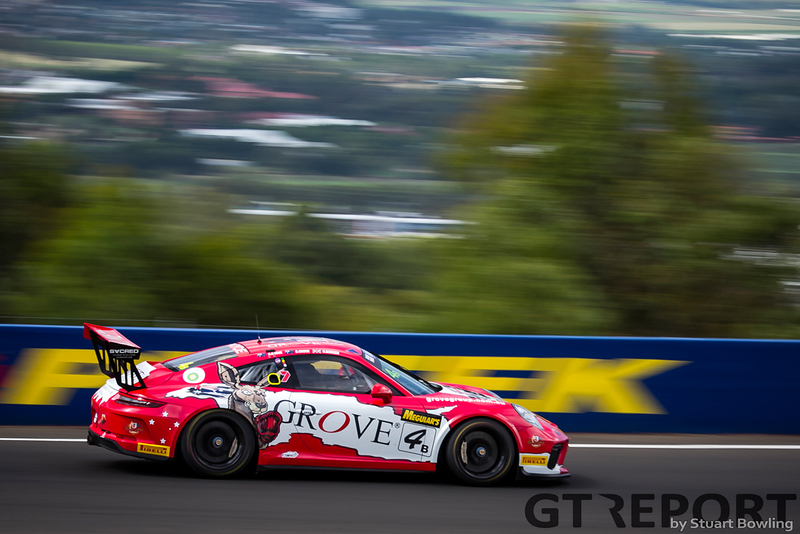 “There’s definitely plans to expand the team into more of a GT3 team. I think that if we did that, we would probably slow down the racing in Porsche Carrera Cup Australia and move on to the next level, and most of that would be international based. Whether it’s the Intercontinental GT Challenge or something along those lines, I think that’s the next logical progression for us and definitely something worth exploring. For Brenton himself, he will be back in touring car racing when the hectic of the Bathurst 12 Hour has settled down. The youngster has continued racing through the Australian summer season and is closing in on the end of the New Zealand BNT V8s Championship season with one round win to his name and currently fifth place in the championship, while also getting ready for his second season in the Dunlop Super2 Series with Triple Eight. “I haven’t really had an off-season. I’ve driven all the way through which is really nice, doing a lot of kilometres when everyone else is sitting down and having a break. I feel better prepared than ever, I’ve effectively done a whole season during my off-season. I’ll start testing with Triple 8 shortly and the support they’ve given me so far has been fantastic. To sit down with them and work through this year is going to be great. I’m going into the year with a lot of confidence and belief that we can have a great year. “This year is the first time I’ll do the same category twice, racing the same car twice. Teaming up with Triple Eight is perfect for my career. They are definitely the best team in Australia and have a very good track record of teaching young drivers, such as Jamie Whincup and Scott Pye. They’ve nurtured young drivers coming through, so for me, I’m just gonna be a sponge and learn as much as I can for the coming year. “I’ve got two more rounds of the New Zealand Supercar series to go, which fit in after Bathurst and my first race in Super2. In mid-March I will have finished that series and hopefully we’ll go back and do it again later this year, which will overlap with the Super2 program to really get some solid miles during the summer. “Maybe I’ll be doing some GT stuff with my father, but anything more than that is really quite unknown at the moment. The Nations Cup would be great to do again, but that all depends on whether we get the nomination from CAMS or if they send someone else. That’s definitely our focus. 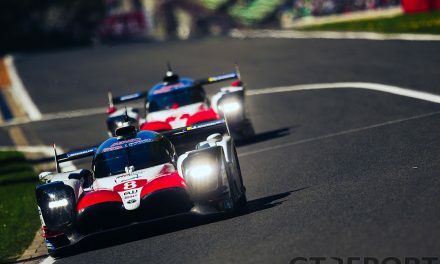 In the long term, Grove is focusing on Supercars series to hone his skills in the infamously hard to handle race cars. “It would be great to race both GTs and Supercars, but I think for me, Supercars are so tricky to drive that my main or sole focus for the next couple of years at least is Supercars. That’s where I want to be, that’s what I enjoy doing. Having the opportunity to drive for Triple Eight is something that I can really sink my teeth into and take on with both hands and not really distract myself with any other series as a proper race program.